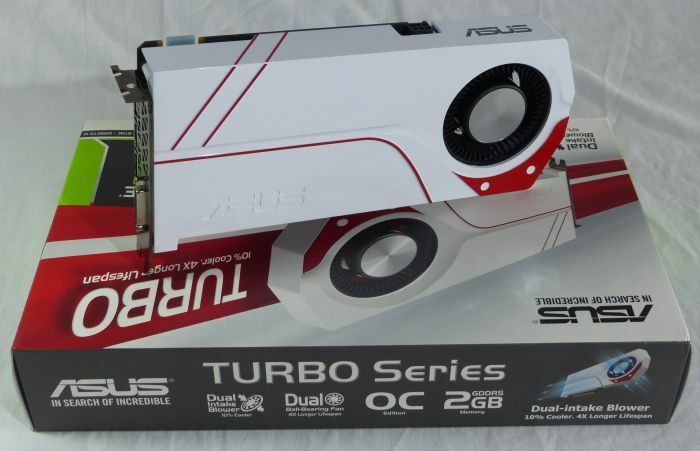 If you are looking for graphics cards with a white VGA cooler, ASUS has some products for you: the ASUS Turbo family. 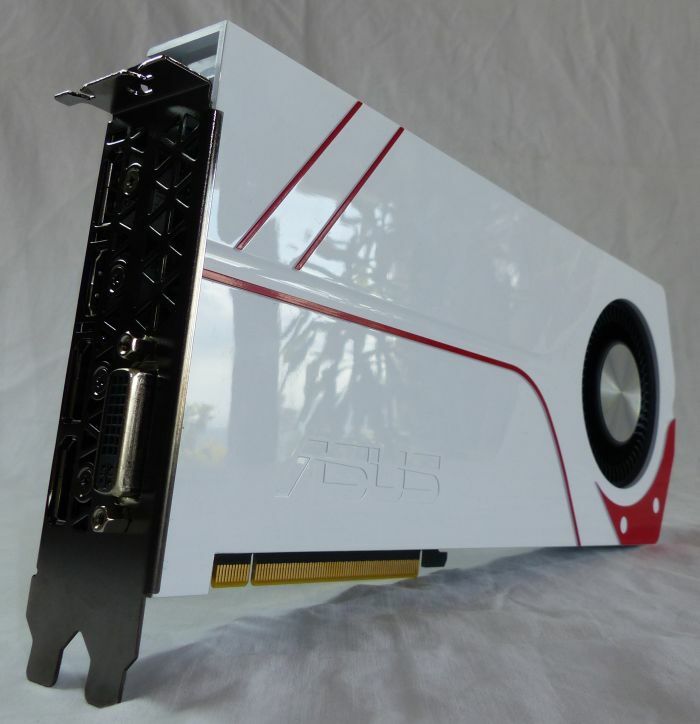 The Turbo family includes two models: one based on the GTX 960 and the second based on the GTX 970. 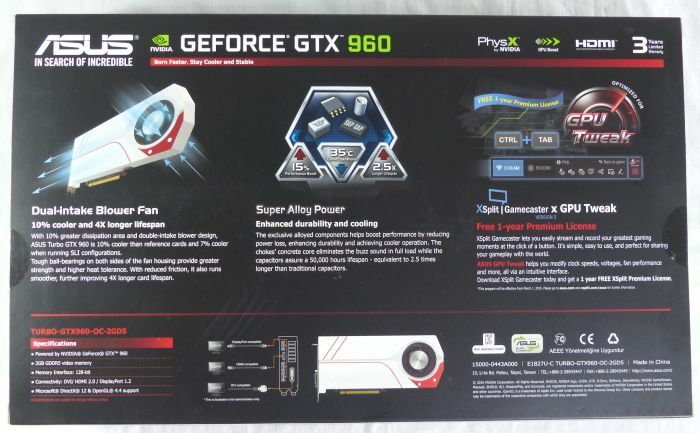 This article details the GTX 960 version. 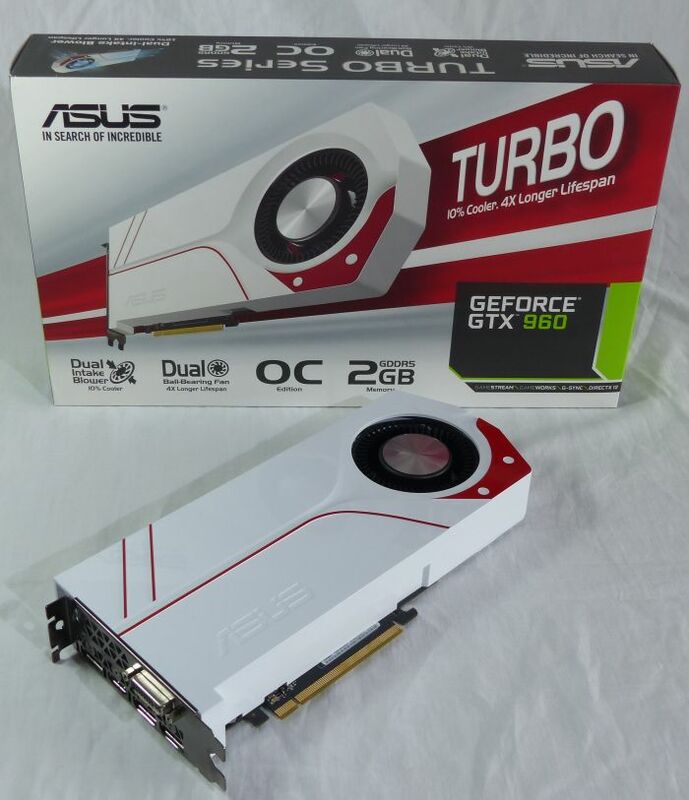 ASUS Turbo GTX 960 is based on the GM206, the second iteration of Maxwell architecture. 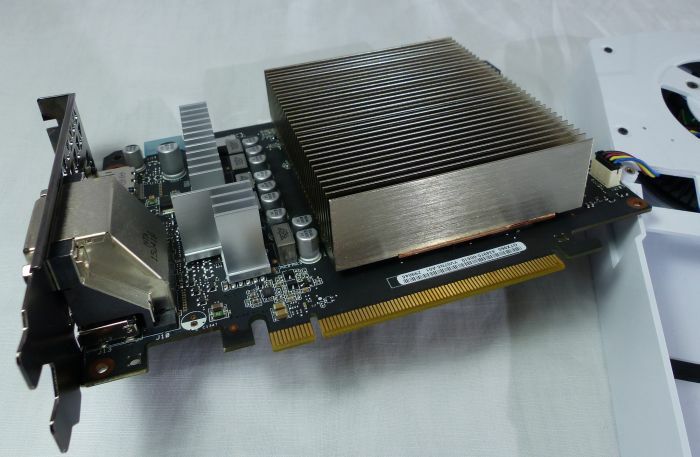 The GM206 is the first GPU that offers HEVC (High Efficiency Video Coding) decoding in hardware. The GM206 packs 1024 CUDA cores and reference clocks are 1127MHz (base) and 1178MHz (boost). 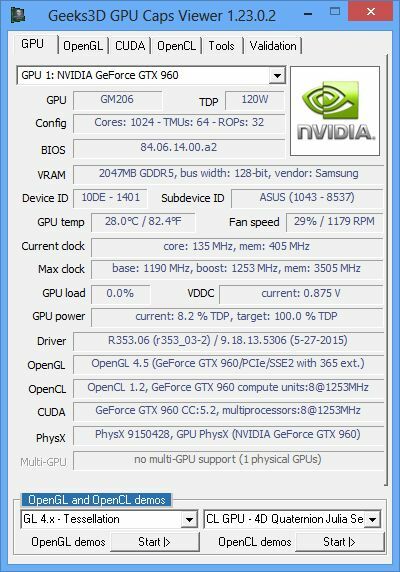 ASUS Turbo GTX 960 is factory-overclocked: 1190MHz (base: +5.6%) and 1253MHz (boost: +6.3%). This not a big OC but it’s better than nothing. 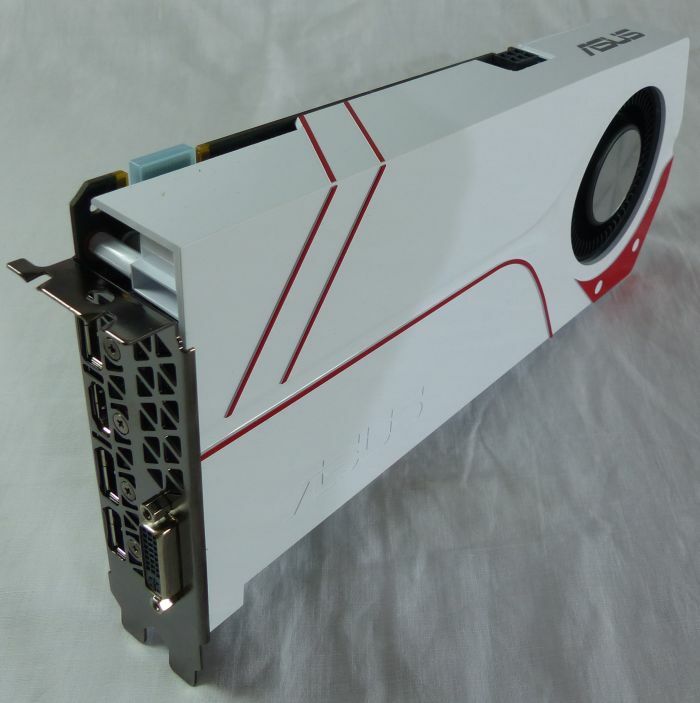 This GTX 960 follows NVIDIA reference values when it comes to the VRAM: 2GB of GDDR5 with a 128-bit memory interface. 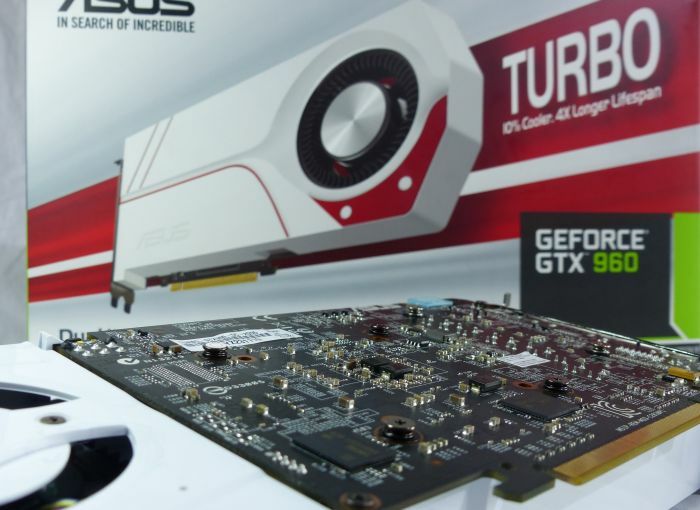 With 2GB, forget 4K gaming, the GTX 960 is a mid-level weapon. 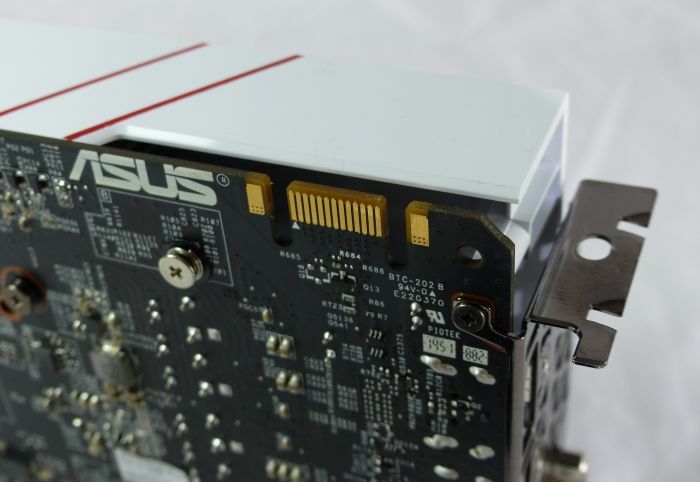 The homepage of the Turbo GTX 960 OC 2GB can be found HERE. 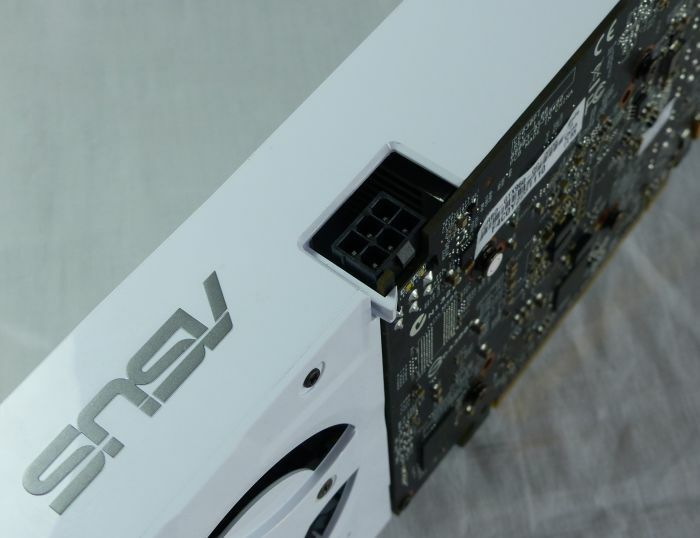 The white VGA cooler case is made up of a plastic material. I was a bit surprised because that gives to the card a cheap design. 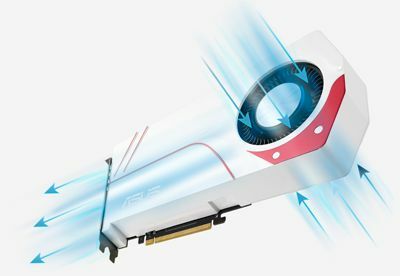 This VGA cooler takes air from both sides (double-intake blower design) and according to ASUS, that should bring a better cooling, especially with SLI setups. 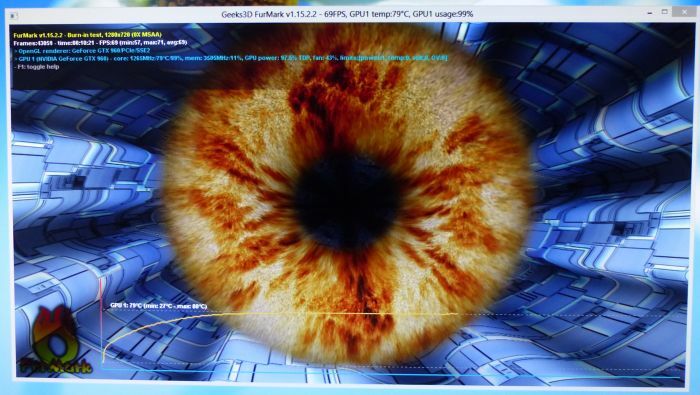 I benchmarked ASUS Turbo GTX 960 with several GPU tests (FurMark, AvP, 3DMark and Unigine Valley). See THIS PAGE for all results in 1920×1080 fullscreen mode. I did a quick burn-in test with the latest FurMark. The nice thing is that the GPU is not throttled down when FurMark is running and this is very good. 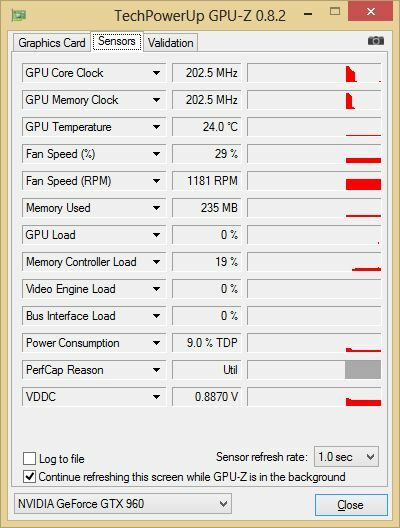 In idle, the total power consumption of the testbed was 43W and the GPU temperature was 26°C which is good. 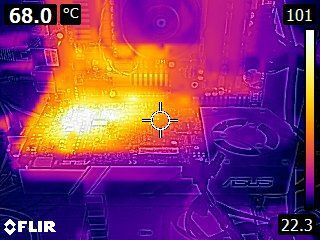 Here is an infra-red thermal image of the Turbo GTX 960 under FurMark burn-in test. The zone right above the VRM reached 100°C! 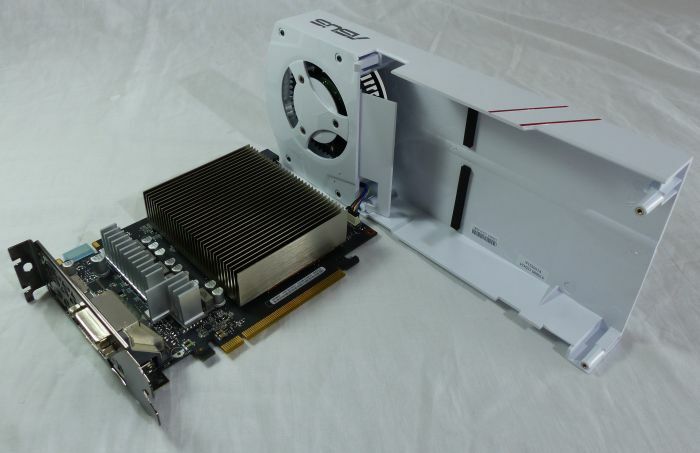 I would say that the white design of the VGA cooler is the only interesting thing here. 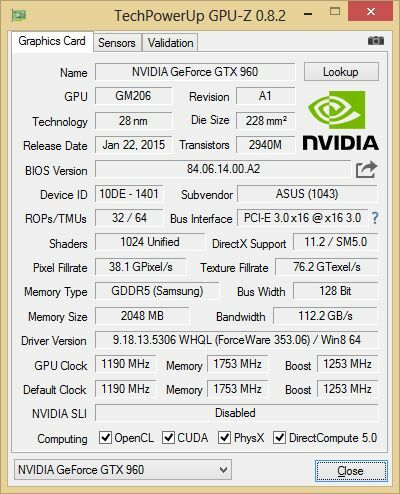 Even if this GTX 960 is a bit overclocked, the high temperature under load, the weird VGA cooler noise or the plastic material of the case didn’t convince me. 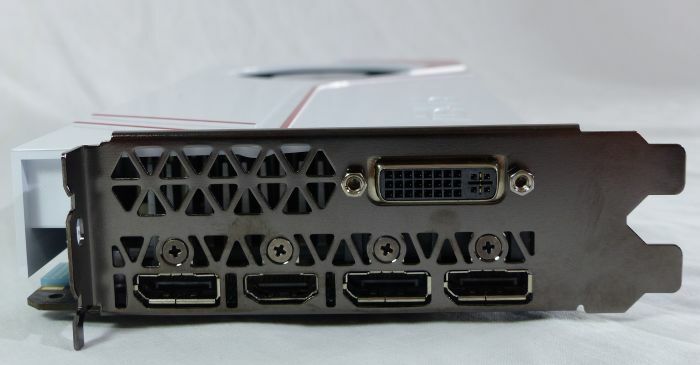 If you don’t care about the white color, I suggest you to have a look at the GTX 960 Strix (I only reviewed the GTX 980 Strix but the GTX 960 Strix is from the same family). – VGA cooler case in plastic material. 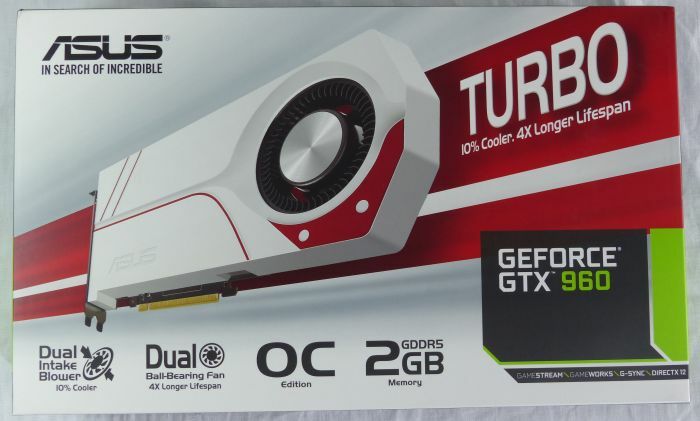 I’d like to thank the Internex‘s team for the Turbo GTX 960 sample. I really like the way it looks. On the other hand, I don’t get why we should even think about it: the card will be concealed in a case anyway. 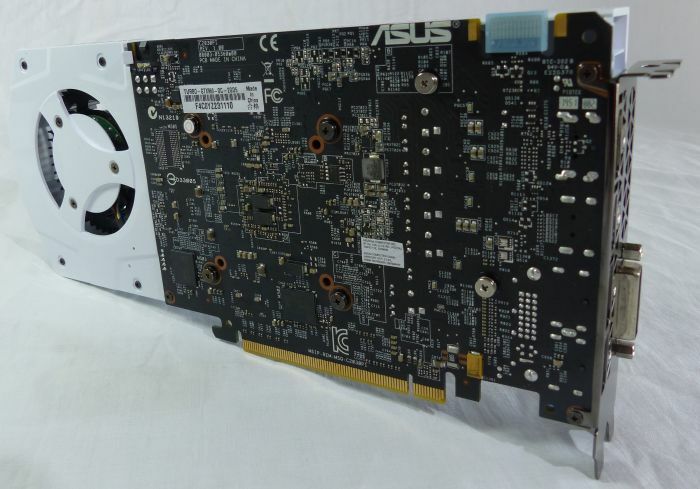 Don’t know if you’ve already bought your card but the ASUS GTX 960 Strix 4gb OC edition is an amazing card as well, and I much prefer it to the EVGA card. 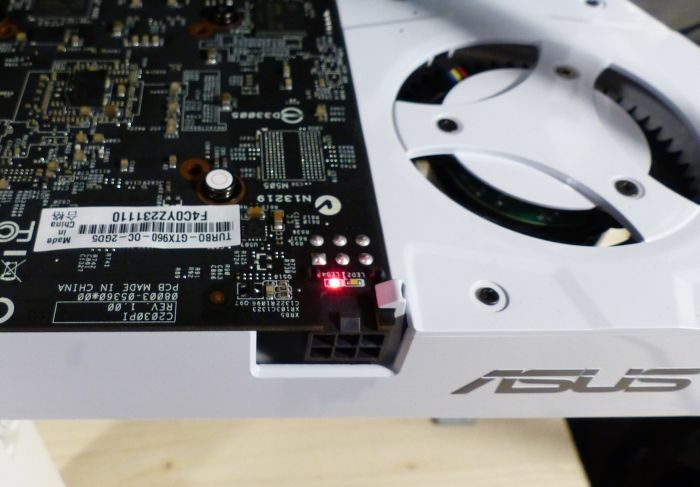 It works brilliantly in sli bridge configuration and can be pushed a good bit further even with the factory OC. Thank you for your review. I will buy it in next week! 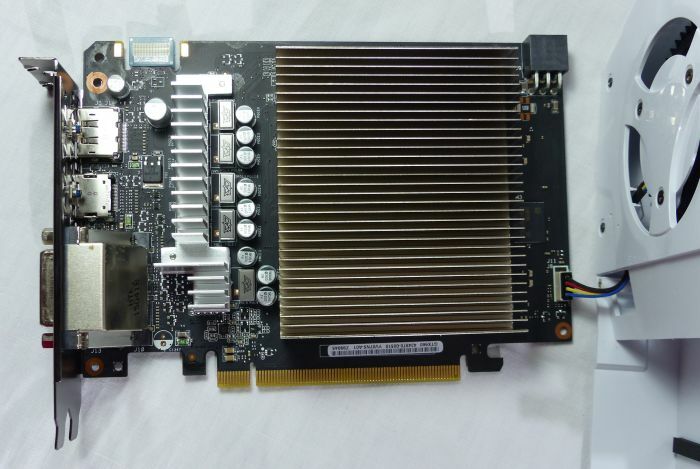 Hi I’ve one off this cards and the noise coming from the cooler on idle is very loud so it was not a problem with your sample. I just changed the cooler and the problem was resolved. 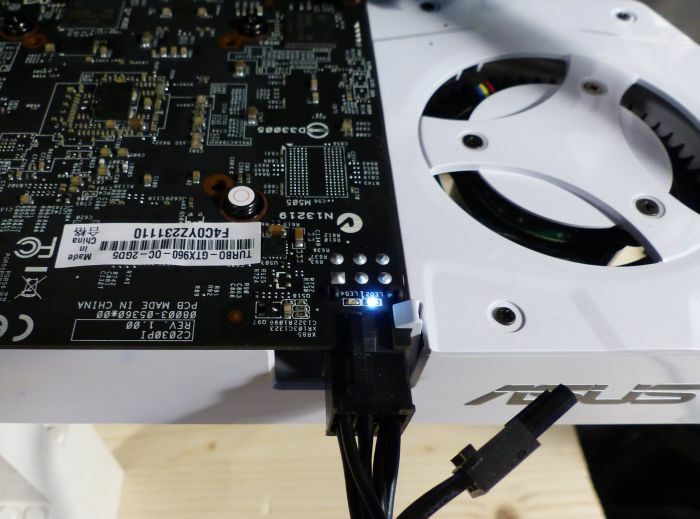 What cooler you used for replace? 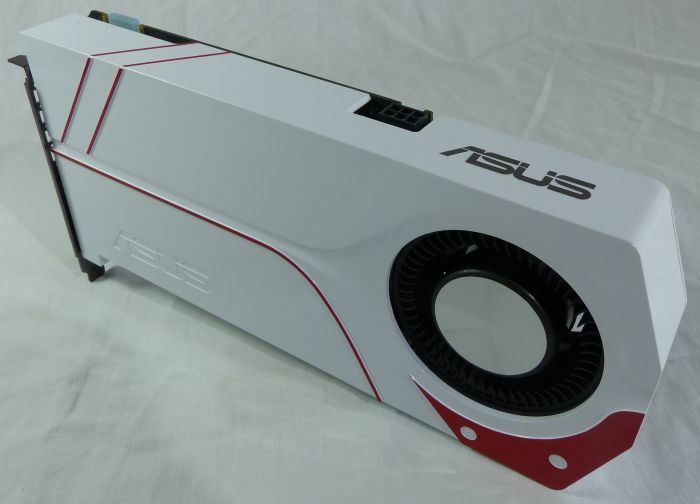 What cooler you used for replace? where did you buy it? Hi, yes please let us know which cooler you replaced it with. I want to do it with mine as well, the idle noise is to loud.